Welcome back to KaBOOM! Cosmetics. Today I have a pretty exciting tutorial for you. 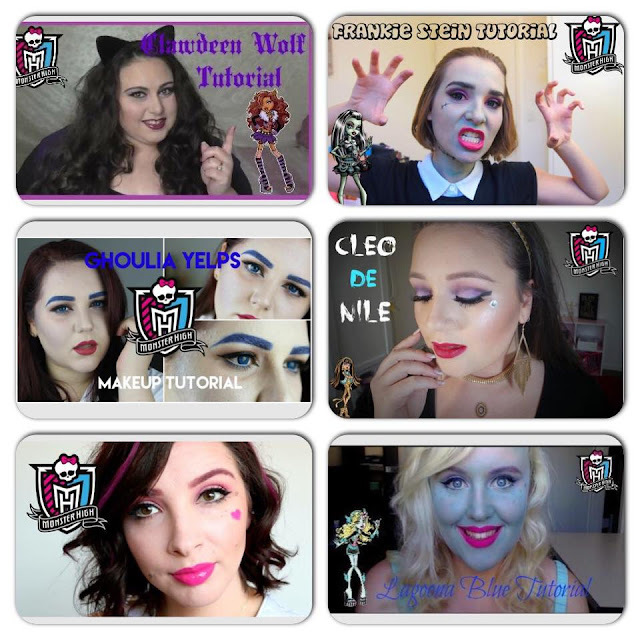 It's a tutorial on the character Frankie Stein from Monster High and, even better, it's a collaboration! I've been working with some amazing ladies to put these tutorials together so please head to YouTube to check out all of the tutorials.